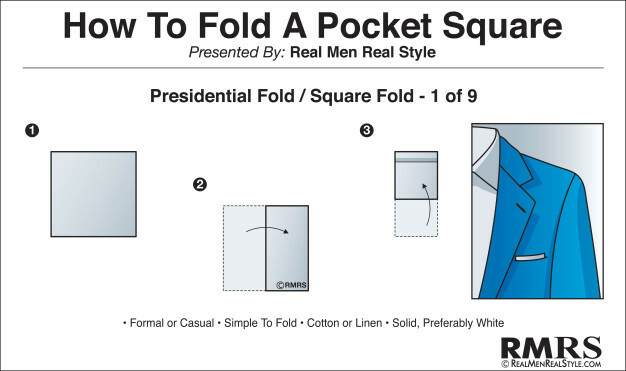 Mens Pocket Square Blog - How to Master the Presidential Pocket Square Fold? The Presidential square is quick and simple to fold, meaning, if you’re dashing out the door to get to an event, you don’t have to stress about your pocket square looking out of place. Take your flat pocket square and fold it in half to make a rectangle. 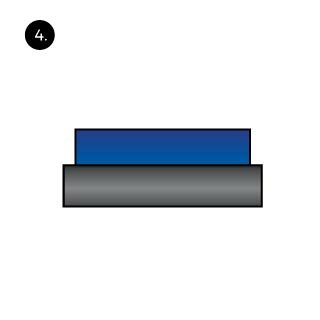 Then lengthways, fold the bottom two corners up towards the top two, stopping about half an inch before them and pressing down to make a clean cut and crisp fold. The side facing up will be the front of your pocket square, so with a quick slide into your jacket, you’ll be soon at the races and looking stylish with your dash of fashion brilliance.